You know it must be January when the cold, dry air and whipping winds smack you right in the face the minute you step outside. As temperatures hover around zero, it can make for a long and dreary season — especially now that the holidays are over. But for kids with asthma, it can be even more frightful when the harsh weather causes their symptoms to worsen. Exposure to cold, dry air is a common asthma trigger and can quickly cause severe symptoms. That’s why when kids with asthma go out to play in the snow, they may experience coughing, wheezing, shortness of breath and chest tightness. There’s no definitive temperature that affects kids with asthma. “For some, temperatures as cold as 30 degrees may trigger symptoms, whereas others may not notice problems until it’s in the teens,” he said. But since we can’t keep kids cooped up inside all winter (for their sanity and our own), Dr. Karnani offers ways to help your kids breathe easier during these frigid months. 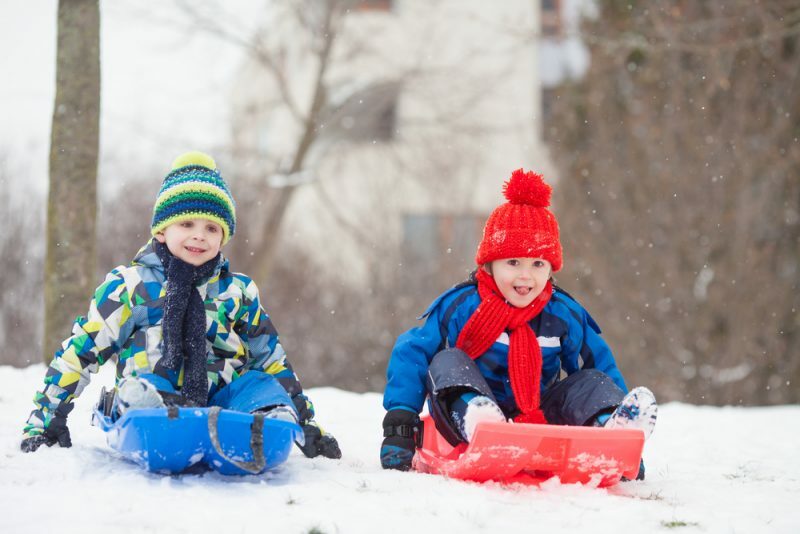 Limit your child’s outdoor activities on extremely cold and windy days. Instead, organize indoor play dates, or take advantage of free events at your local gym, library or community center. Put a scarf loosely over your child’s mouth and nose when going outside in cold weather. Also, tell her to breathe through her nose. Both can help warm and humidify the air before it enters her lungs. Give your child a preventative dose of her asthma medicine before heading outside. Also, make sure she always has quick-relief medicine (also called rescue or fast-acting medicine) on hand. Make sure your child washes her hands regularly and gets a flu shot to avoid infection. The common cold and flu virus can lead to asthma flare-ups and compound asthma symptoms when stepping outside in the cold. Limit nights by the fire. Although appealing on frigid days, pollutions from burning wood and smoke can irritate your child’s airways. If you suspect the cold weather is playing a role in your child’s asthma, keep a diary of symptoms to discuss with your doctor. Then, update your child’s asthma action plan with weather triggers and ways to manage them, including any seasonal increases in medication.